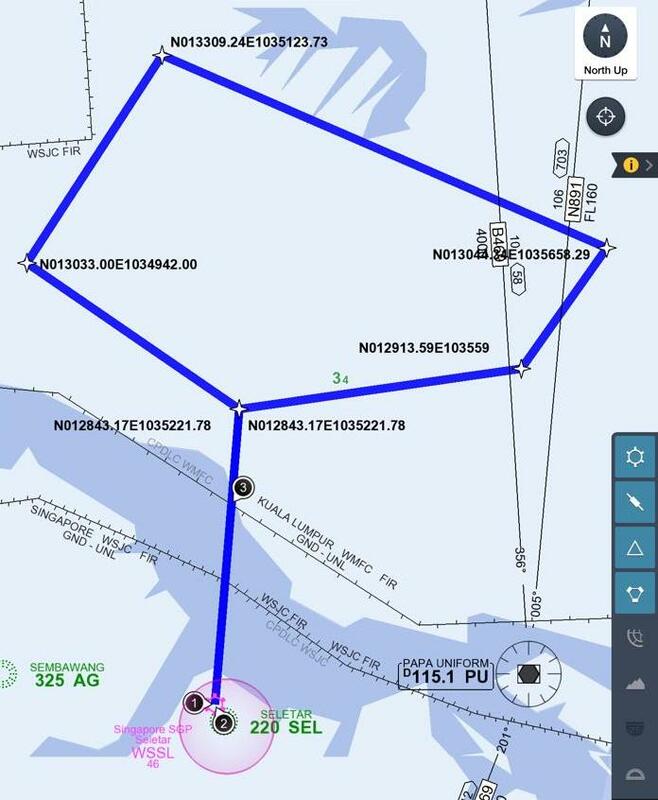 Update Apr 6: The Malaysian authorities have now lifted the airspace closure north of Seletar again, and in return Singapore will abandon plans for ILS at the airport – and will now draw up plans for GPS approaches instead. The new agreement brings an end to days of disruption, with operators having to take off and circle overhead to 6000ft before being cleared enroute; it will also allow Malaysian airline Firefly to commence planned flights to Singapore, which had been postponed since Dec 2018 due to the dispute. The new ILS approach on RWY 21 at WSSL/Seletar airport was due to take effect on 3rd Jan 2019, but Malaysia effectively killed it. 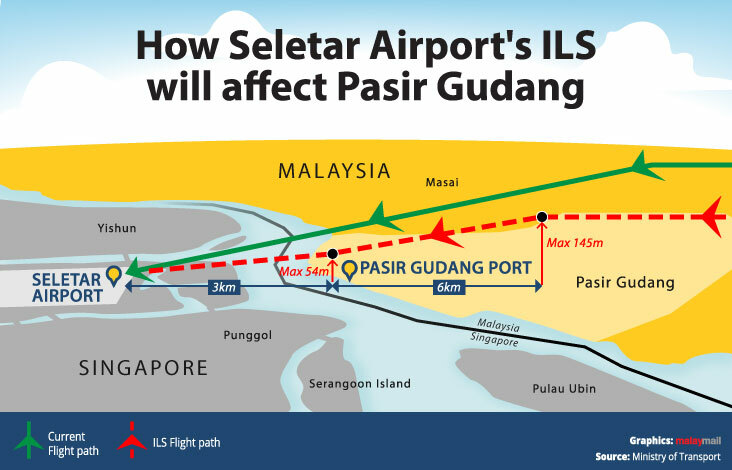 They claimed that the ILS approach –most of which lies within Malaysia’s airspace to the north of the airport– would impose height restrictions around the Pasir Gudang industrial area, and would stunt growth in the area. Malaysia decided to create a no-fly-zone across an entire chunk of airspace just across the border from Singapore, up to 6000ft. This ultimately would have made RWY 21 ILS approaches at WSSL/Seletar impossible. Singapore and Malaysia’s foreign ministers have met multiple times this year to discuss the issue, eventually resulting in Malaysia agreeing to cancel the restricted airspace they imposed, and in return Singapore agreeing to abandon the ILS procedures. Discussions are set to continue regarding a wider ongoing dispute over airspace sovereignty, with Malaysia saying it wants to take back airspace delegated to Singapore under an agreement in 1974. In other news: The night curfew at Seletar is now in effect. AIP SUP 86/2018 confirms that with effect from 1st Jan 2019, the airport will be closed to all flights (except medevac and emergency diverts) nightly from 22-07 local time.